This site has been developed specifically for the secondary education/high school level teacher, as a resource for finding relevant information for use in the teaching of chemistry and alternative education. Moreover, students and other visitors interested in the topic of chemistry will find The Catalyst to be a valuable web resource for finding the information or answers they are seeking, and are encouraged to take advantage of this site as well. This site is not updated often. 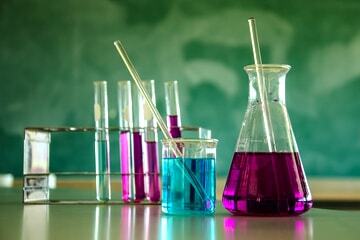 Check out our chemistry experiments section. Thank you for visiting! The Catalyst is broken down into multiple pages, each devoted to a specific topic. A large majority of the resource links contained at this site are found on these pages, and can be accessed from one central page. Please make sure you read our safety manual. In the quest to make this site as useful as possible, a question and answer page has been added to assist you in finding answers to questions you may have about chemistry.